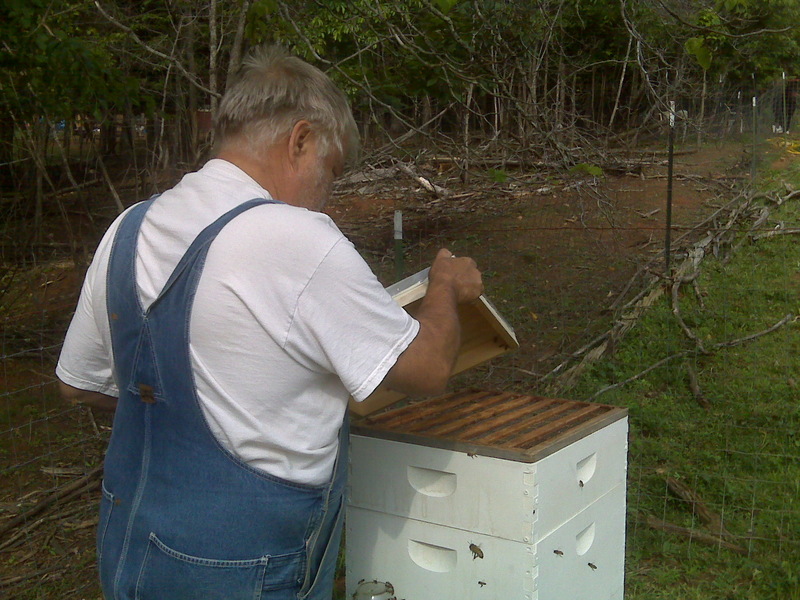 Farm Girl Adventures: The Bee Hives Are Humming! The Bee Hives Are Humming! 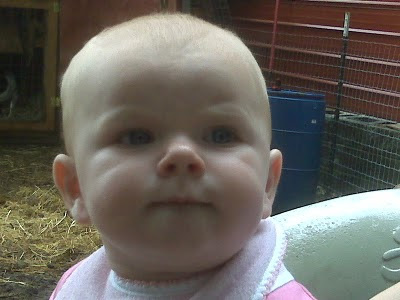 I love this picture, Holly reminds me of a Cabbage Patch Kid, remember those? 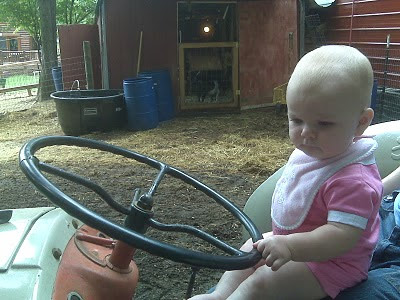 Here she is sitting on her mommy's lap on the tractor. It looks like she is thinking,"how do I start this thing up?" 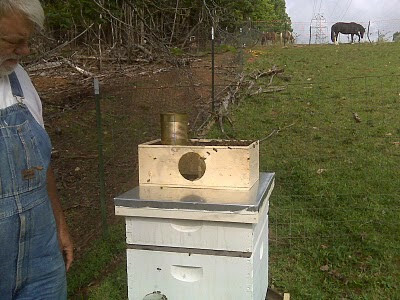 The farmer, (aka the beekeeper), has gotten our hive installed. With the help of some good friends, we now have our own hive. This is absolutely fascinating. This project started long ago, with the beekeeper receiving odds and ends and parts, and with help, assembling and painting the hive. Yesterday, we went to pick up our nuc. The first thing that amazed me is the sound that emanated from the nuc. The constant drone sounded like something mechanical. We put out sugar water. It took them 24 hours to drain the pint jar dry, so we have switched to a half gallon container. The smaller box on the top is the nuc. The can on top is full of the sugar water they are shipped with. There are tiny holes in the bottom of the can that allow the sugar water to ooze out. We had to pull out the little Bee Queen container and remove the cork on one end of it to expose the sugar plug. By the time the sugar plug is eaten and the queen can exit her container, the workers will have built her Bee Queen Throne. 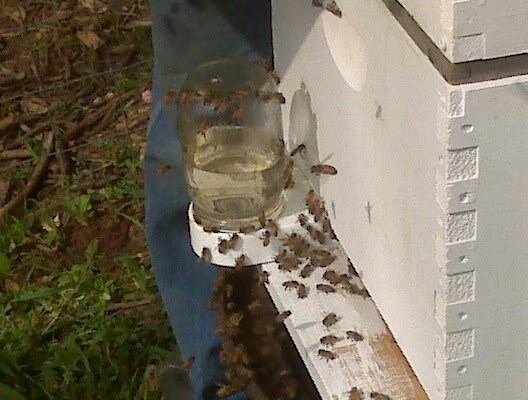 It's very interesting to watch the bees get poured from the nuc into the hive. We each got stung once during the installation, but did not mind a bit. Looking forward to our own honey!